Drive to Mestia - the main regional center of Upper Svaneti. The district is located 1,500 meters above sea level. Svaneti is a historic province in Georgia, in the northwestern part of the country. It is inhabited by the Svans, an ethnic subgroup of the Georgians. 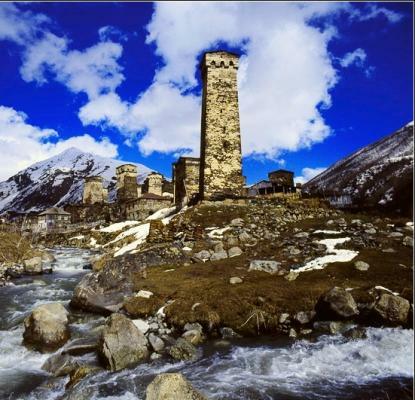 Ushguli is a community of villages located at the head of the Enguri gorge in UpperSvaneti. Ushguli comprises four villages. The Ushguli villages contain buildings that are part of the UNESCO Heritage site of Upper Svaneti.